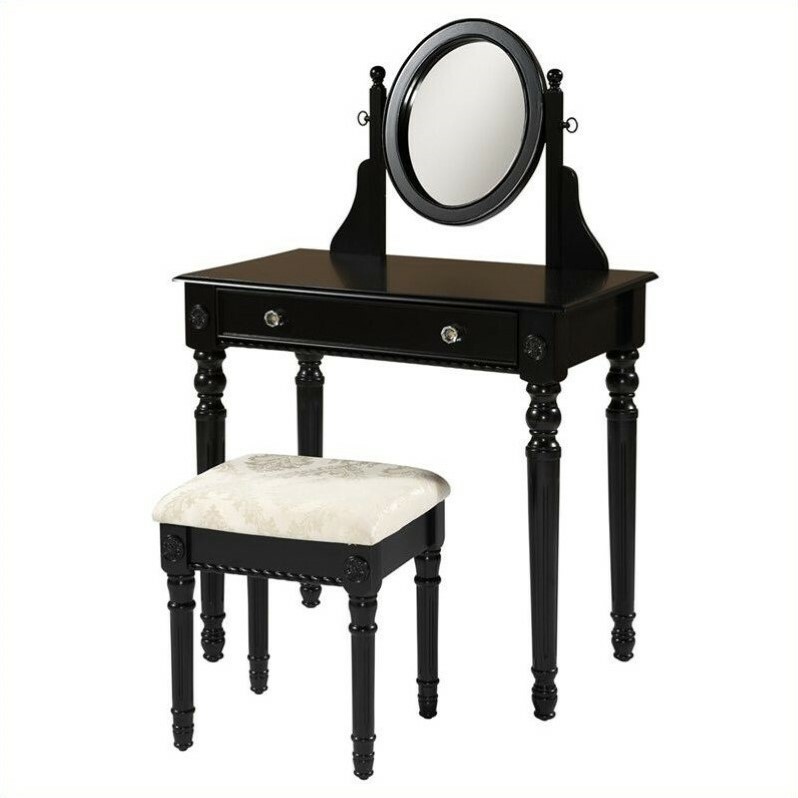 The traditional styling of the Lorraine Black Vanity Set is highlighted by the intricately detailed spindle legs on the vanity and matching stool. Enjoy some much needed personal grooming space with this attractive white vanity and stool set. The vanity features an adjustable mirror generously sized drawer. The spacious table top has room for an array of cosmetics, jewelry, and beauty supplies. The vanity is complimented by a thickly padded and upholstered stool. Ideal for teens and adults. Some assembly required.